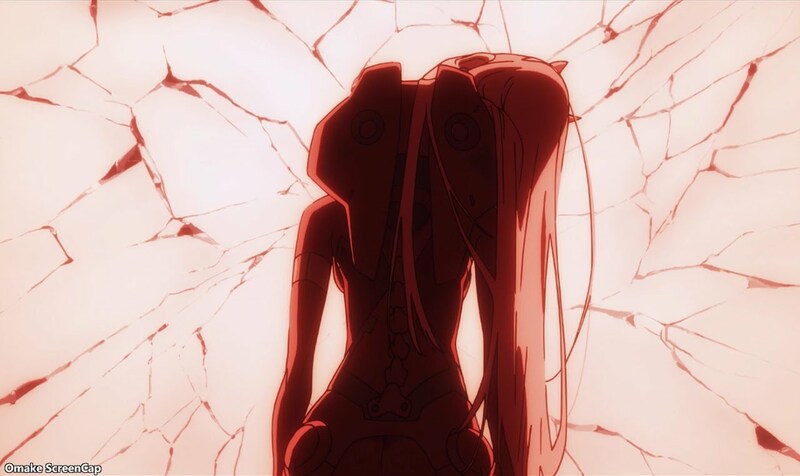 Hiro and Zero Two showed what Strelizia's normal action looks like. The drama came afterwards. If mecha anime has a big action set piece, you know we're going to see the girls in the locker room before they get in their plug suits. Them's the rules. Hiro got knocked out after a major setback and we got to see exactly what happens to Zero Two during one of her "stampedes." We also got to see that Hiro is actually "special" in some way. Strelizia got its act together and even had time to put on some fresh lipstick before it took out the big monster.